120 years ago, Cornelius Delworth purchased a parcel of land on Richview Side Road (now Eglinton Avenue) in the outlying farming community of Weston, as an expansion of his downtown nursery operation. In 1906, Thomas Delworth purchased the property from his father and established himself as a vegetable grower. Cornelius Delworth, the great great great Grandfather to Paul & Kurt Reeves (Plant World’s current operators), founded the business over 120 years ago. Following WWI, Cecil Delworth joined his father in the family enterprise and shifted the production emphasis from food crops to greenhouse-grown cut flowers. Cecil gained an international reputation as an industry leader when he pioneered the year-round culture of chrysanthemums for the retail flower trade. His crops were sold locally and also shipped Canada-wide by rail. Cecil was posthumously inducted into the Agricultural Hall of Fame and a research foundation was established in his name. T. Delworth & Son Wholesale Florist remained in the family and continued to thrive until the building boom of the 1960’s when it became apparent to the father and son team, Frank D. Reeves and Frank T. Reeves that a new retail concept of a “Garden Centre” could be successful in Toronto. 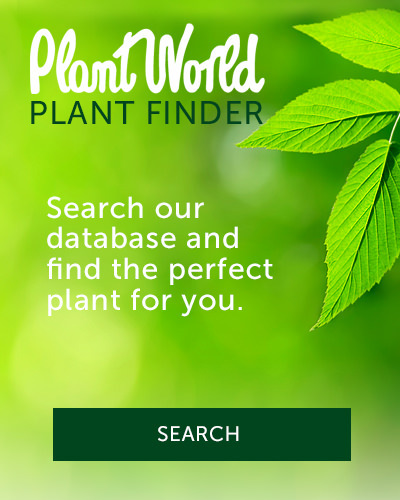 In 1972, Plant World Ltd. was incorporated. Father and Grandfather were later joined by Paul and Kurt Reeves, who are today- the 6th generation of family owners and operators. Cecil Delworth, was responsible for shifting the family business from food crops to greenhouse-grown cut flowers. Early in the new millennium, it became apparent that further changes were needed. The facilities continued to be redesigned and expanded to accommodate the growing needs of the business. The total site now encompasses 5 acres with expanded parking, modernized facilities and an even broader selection of quality plants and related garden supplies. Today, Cornelius’ Great Great Great grandsons, Paul and Kurt Reeves operate the Garden Centre which continues to be a popular destination for Toronto gardeners who seek top-quality plants and lots of free gardening advice from the experts.